The Annie Moses Summer Music Festival concludes its concert series with a bang! 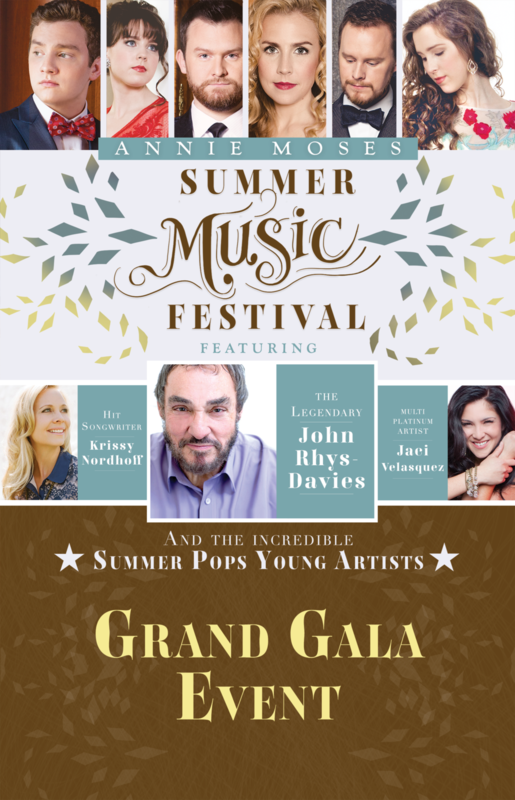 The musicians of the Annie Moses Summer Music Festival take the stage for an epic evening of musical performance, ranging from the intimate to the grand. Featuring Special Guest Artists Jaci Velasquez (16 No.1 Hits, “On My Knees”), Krissy Nordhoff (Dove Award Song of the Year, “Your Great Name”, “Mercy Tree”), and hosted by legendary and eminent Shakespearean actor John Rhys-Davies (The Lord of the Rings, the Indiana Jones films). Great Musicians, Great Music, Great Location in the heart of Franklin - what better reason do you need to gather family, friends, and fans together?